The Superyacht Cup Palma fleet returned to action today with an added ingredient – a shot of extra breeze which set Palma Bay alive. Any early concerns over the wind evaporated as Palma’s ever reliable sea breeze kicked in to send the 16-strong fleet off to a flying start in a steady 10 to 15 knots. 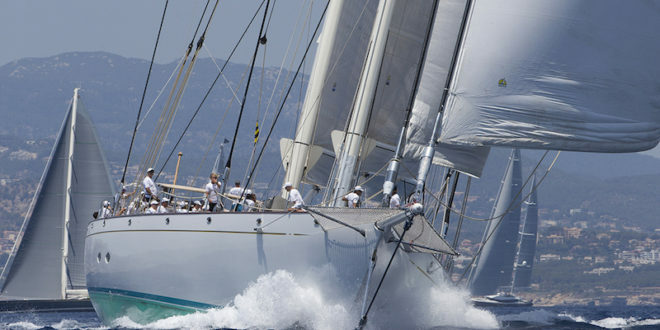 The extra five knots of wind around the course added spice to an already indulgent feast of sailing, with the battle lines now firmly established on the route to deciding the contenders for winner of Europe’s largest and longest-running superyacht regatta. That said, the close contest in Class A saw all three hard-charging boats in lockstep around the course. With the final results the exact opposite of yesterday – Win Win first today ahead of Saudade and Highland Fling – each yacht sits on four points with all to play for in tomorrow’s decider. 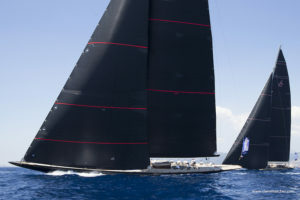 In the diverse and competitive Class B, the largest class at the regatta, Mari-Cha III emerged the winner ahead of Sojana with Ganesha in third place. After a second place yesterday the 45m super-ketch is poised ahead of the final day said race skipper Mike Sanderson, still buzzing after an exhilarating day on the water. 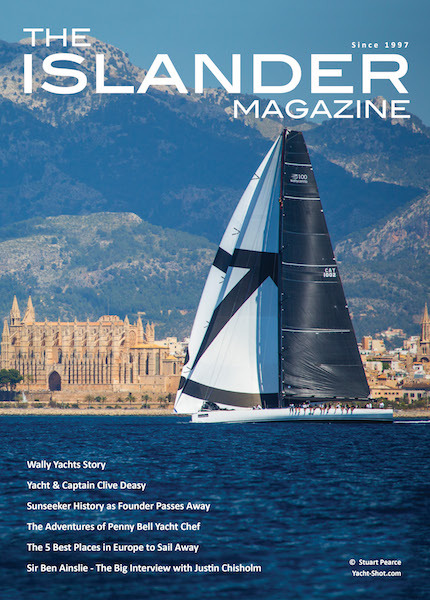 “It was amazing and Palma Bay turned it on once again – it is a very special place to sail,” he said. 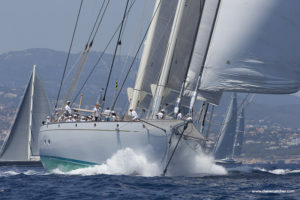 Between the J Class rivals in Class B, the day went again to Velsheda, who finished fourth in the class, with Svea fifth just 14 seconds in arrears on corrected time. Overall, Mari-Cha III leads Class B on three points, Velsheda is second with five, and Sojana third with seven. 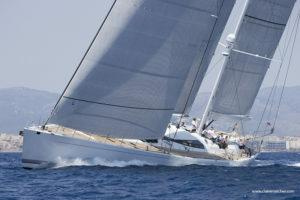 In Class C, the majestic 56m Athos made the most of the bigger breeze to win the day. However, Silencio added a second place to her first day victory to lead overall from Athos and Bolero. And it was a case of trading places in the two-boat Corinthian Class D, Q taking the win today ahead yesterday’s winner Scorpione of London – as in Class A the two are dead level on points and anticipating tomorrow’s winner-takes-all finale. 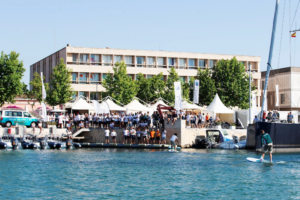 Once ashore owners, skippers and crews enjoyed the Southern Spars Happy Hour and expended any remaining competitive energy in the Pendennis Paddle Board Challenge, which was followed by the invitation-only Owners’ Mid-Summer Barbeque at The St. Regis Mardavall, one of The Superyacht Cup Palma’s main partners. 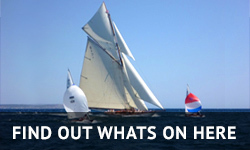 Racing at The Superyacht Cup Palma continues tomorrow with the final day of racing.